Friends, I LOVE shopping small. It is so great to support local small businesses, and Violet Clover is one of my favorites! I stopped by a little while ago for a fun day of shopping. 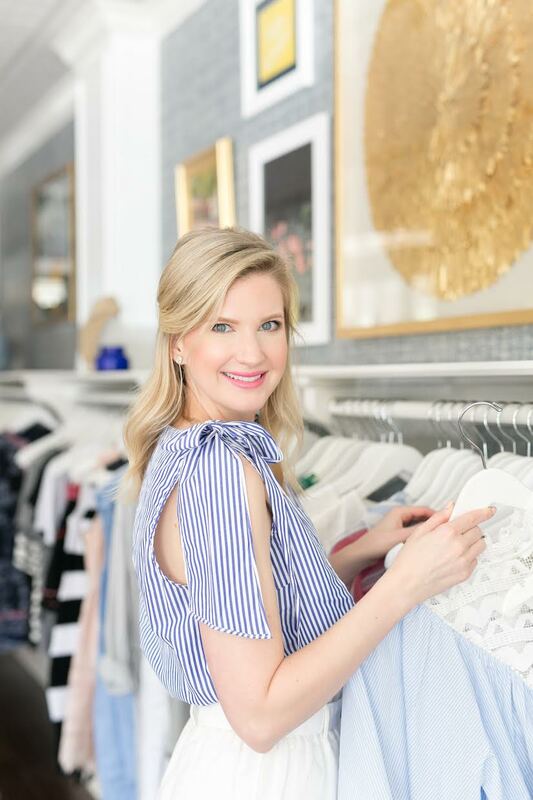 Katie, the owner, is so sweet, and it is so nice getting to know genuine people that have a passion for great style right in your own neighborhood. You HAVE to follow them on Instagram- all of their pictures are so cute, and it is such a great source of inspiration! 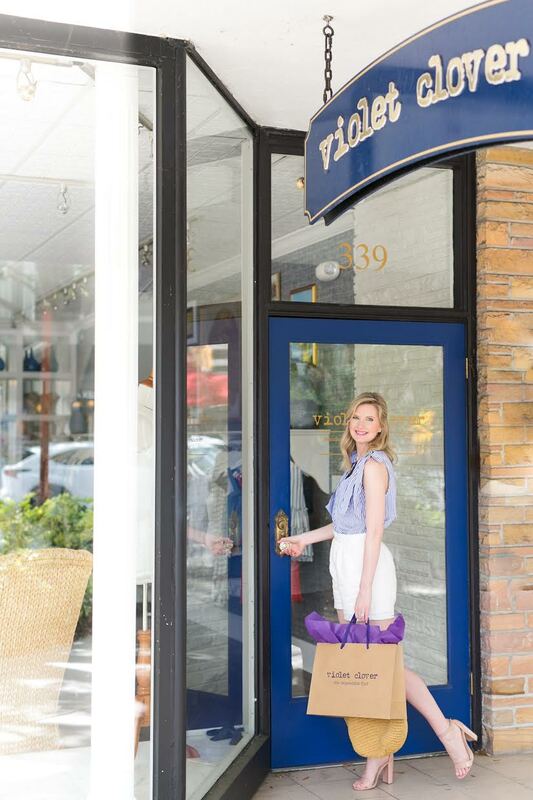 If you’re ever in Downtown Winter Park, a stop by Violet Clover is definitely necessary. You will never want to shop anywhere else! Violet Clover is so pretty it feels like a dream! 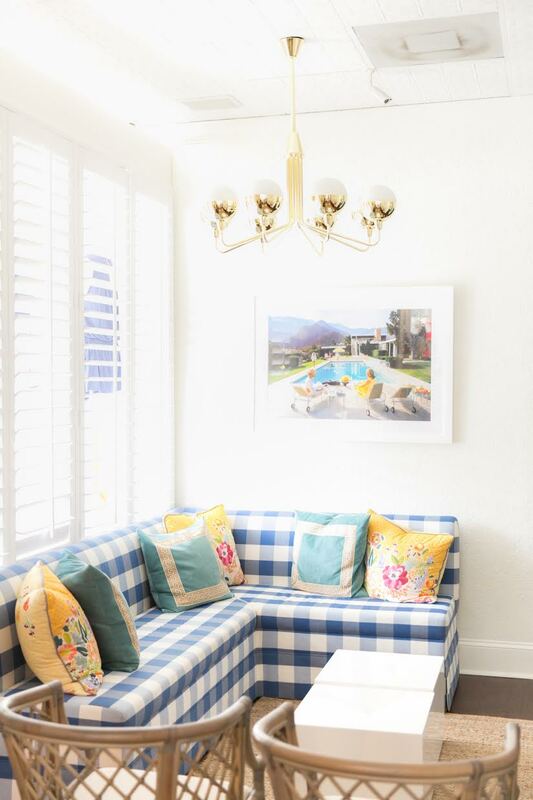 They renovated last year, and the combination of blue and white is like a match made in heaven. It is such a relaxing place compared to the craziness of some stores these days! 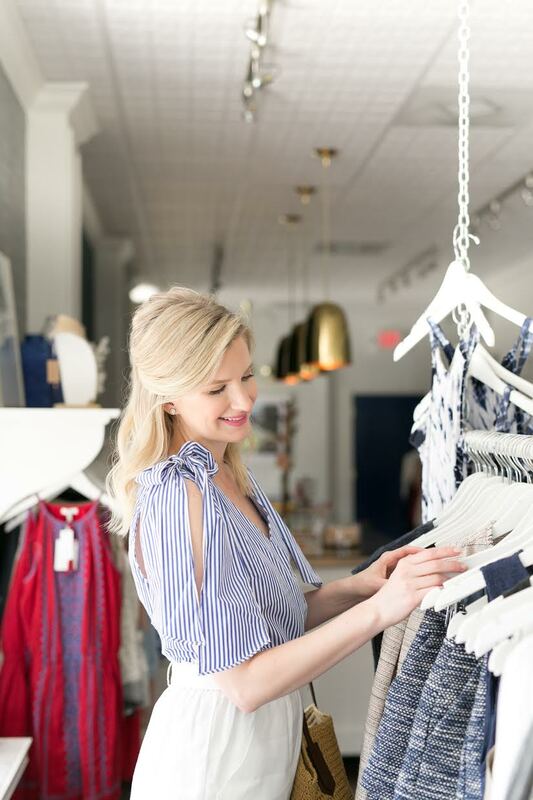 If you’re looking for a stress free shopping experience, Violet Clover is the place to go. 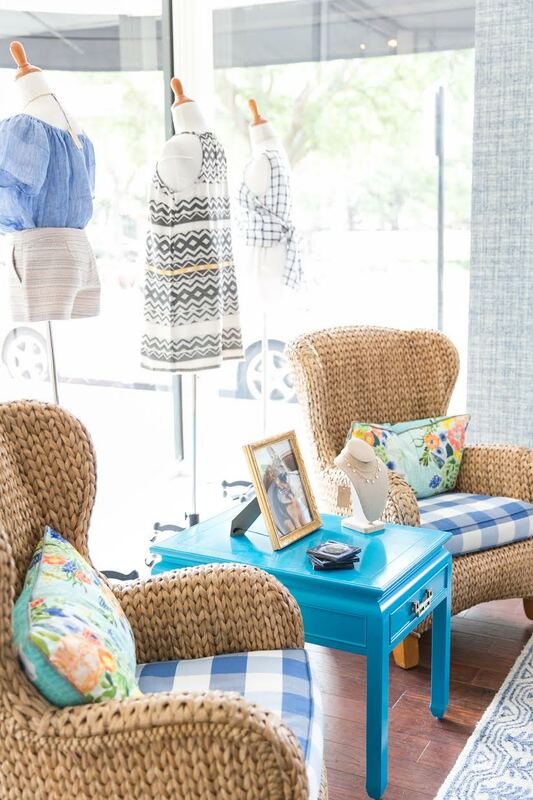 There is plenty of seating so your friends or husband have somewhere to sit while you try on all the things! Not only are the clothes amazing, but they have great accessories as well. There are so many fun options, and they are all very reasonably priced! 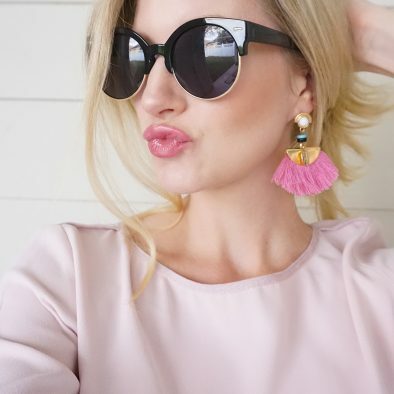 These tassel earrings are almost too much for me to handle! 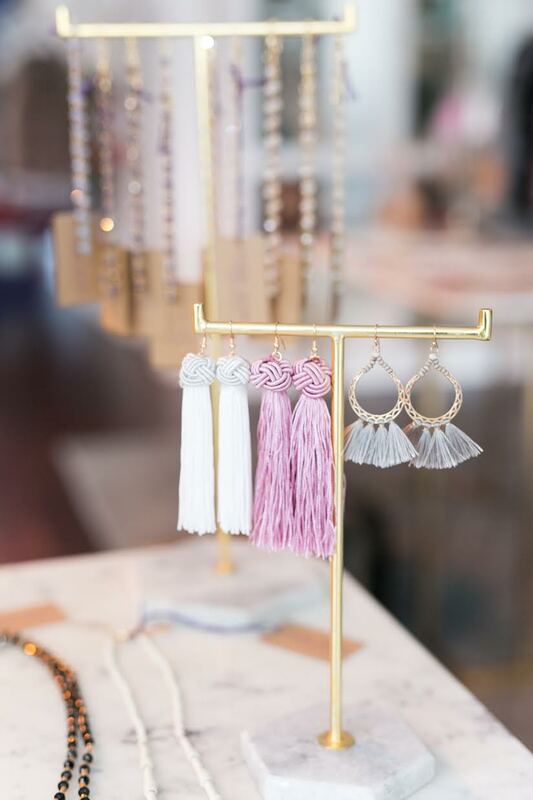 They are the perfect statement piece when you need an extra touch on your outfit. 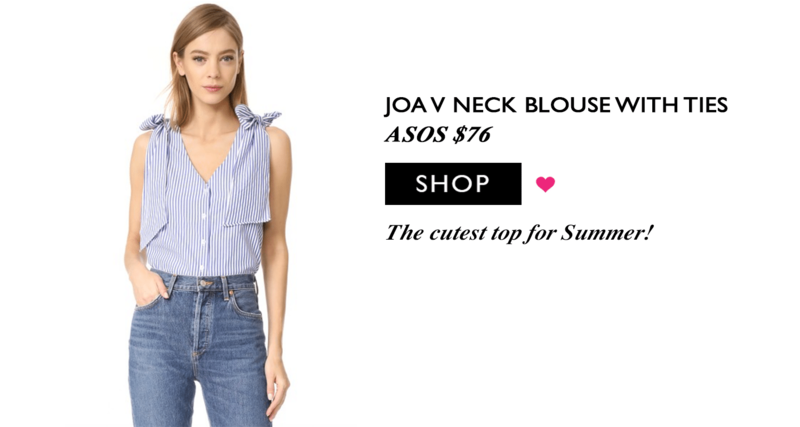 I picked out the cutest pieces by Just One Answer. Blue and white is my favorite color combo of the season, so this outfit was a no brainer. I love the bows on this top, they are the perfect touch on this classic tank. 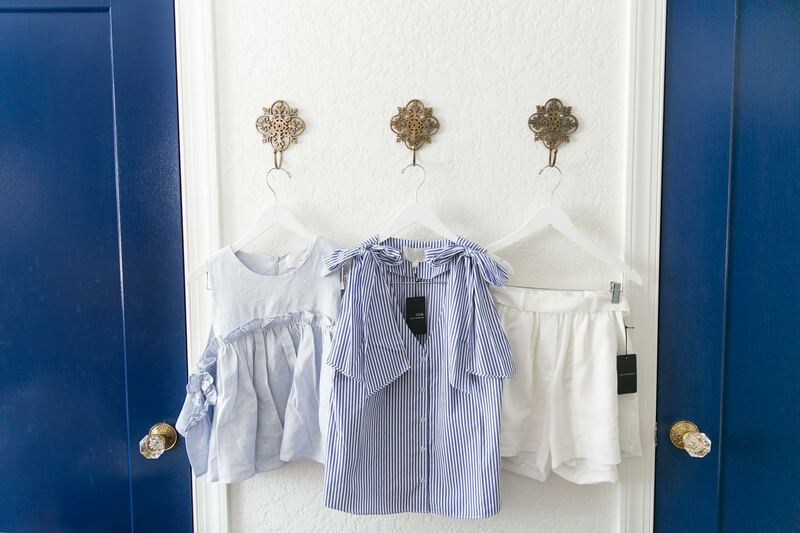 I found these adorable white linen shorts too that practically scream summer! This top was calling my name as well. 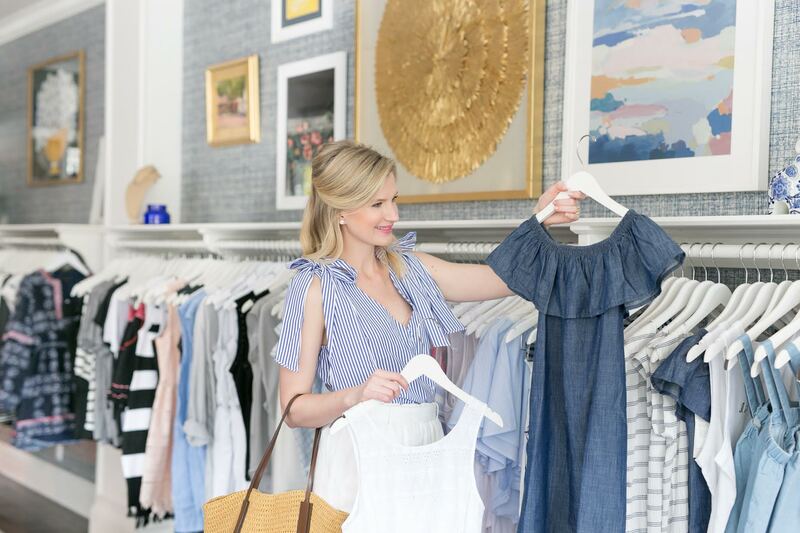 Powder blue is everything this summer, and I love the linen! Violet Clover is the place to go when you need that extra special piece or something really fun! 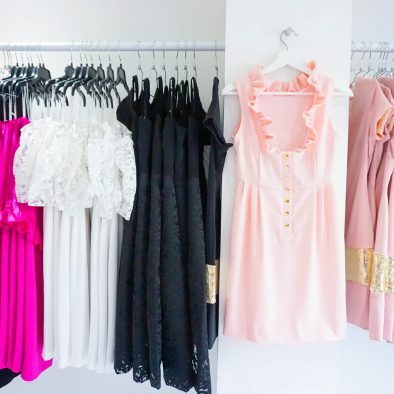 They have the perfect things for date night or extra flair for a day out! How cute is Jane? She is so sweet and just hangs out in the store all the time! Stop by, and I promise the two of you will be besties within 2 minutes. 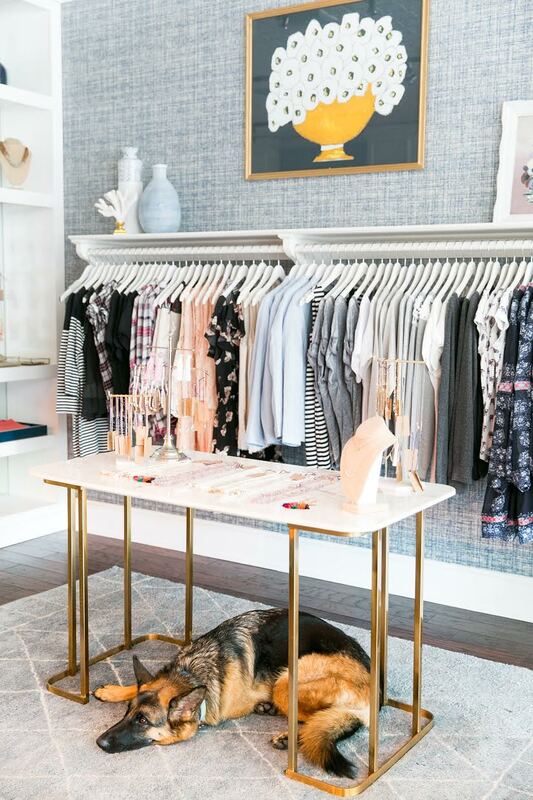 What more could you ask for than shopping and furry friends? It’s a dream come true. I hope you all can see how cute Violet Clover is, but you definitely need to stop by and see for yourself! It is the perfect place to go when you’re strolling down Park Avenue grabbing a cup of coffee! I promise these are the perfect weekend plans, and you will be happy you made a trip! You have to let me know if you make a stop over at Violet Clover! Previous Post Last Day To Order for Mother’s Day, Plus 20% Off! How awesome!!!!! I love going to Winter Park. 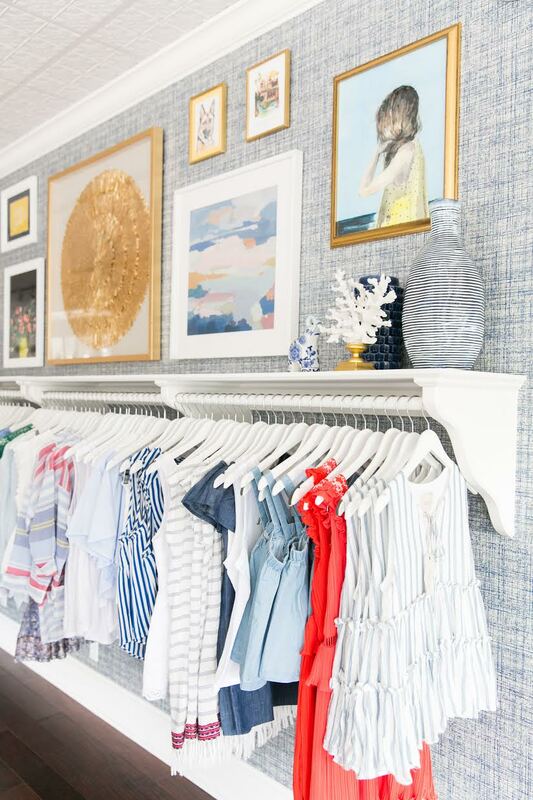 So fun to see photos of the boutique I have shopped in many times! Adore your outfit! Thanks Katie, and I know… Winter Park is the best!